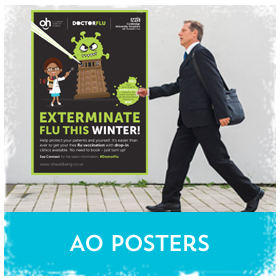 A3 posters are suitable for small scale indoor posters for areas with limited space. They measure 420 x 297mm and are available on 100gsm to 350gsm silk or gloss paper. 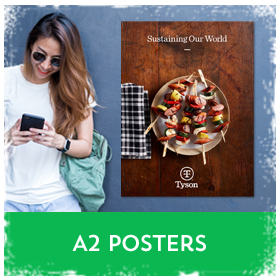 Our A2 posters are 594 x 420mm and are well suited for a medium amount of information and graphics. They're available in both photo gloss paper and matte stock. 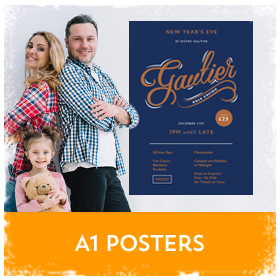 A1 posters are our most popular poster and measure 841 x 594mm - a large but manageable size. These are available in 190gsm photo gloss paper and matte. For those looking to be seen our A0 posters measure 1189 x 841mm. They can hold lots of information, are easily viewed from a distance and available in matt or silk paper & PVC stocks. 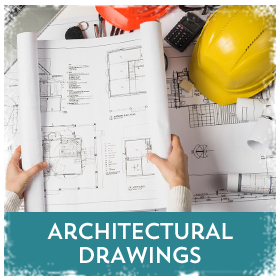 Our architectural drawings or building plans are printed onto 80gsm paper in colour or black and white with prices from only £2.75 each. When it comes to designing a poster, it’s important to appeal to the aesthetic tastes of your target audience. 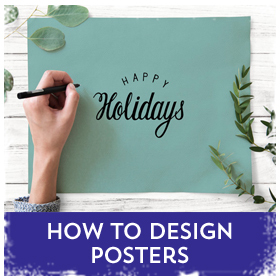 A poster has to be clear, eye-catching and sell your message in seconds.